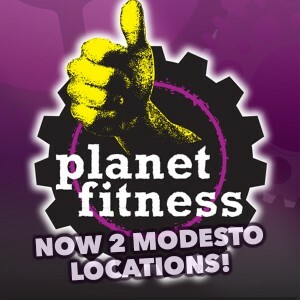 Modesto is so fortunate to have local stars that are champions of stage and theatre performance. Not only that, we are fortunate the drama and performing arts are strong in our local schools and notably at Modesto Junior College. One of these local stars was responsible for bringing the entire performing arts department back to life in 1981, leading to decades of amazing performances, the development of new performers and the complete renovation of the MJC Auditorium complex. This was an amazing effort. His efforts were revolutionary and he was given the Stanislaus County Arts Council Excellence in Arts for Lifetime Achievement. 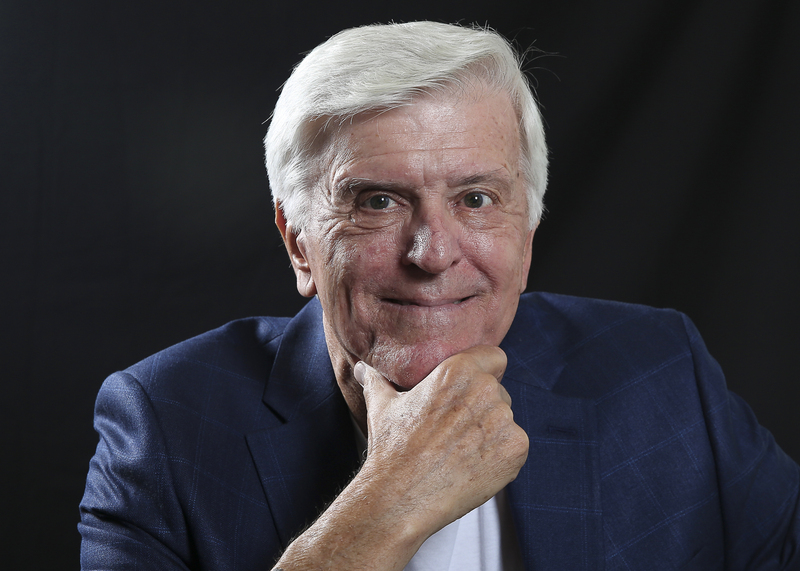 Now today Jim Johnson has taken on the challenge of developing a completely new arts group at the Gallo Center for the Arts with the creation of the Gallo Center Repertory Company. Over the last few years, there have been some amazing performances like Who’s Afraid of Virginia Woolf, The Exonerated, The Piano Lesson and To Kill a Mockingbird and recently Stand and Deliver. Jim holds a B.A. and M.A. degrees in Communication from California State University, East Bay and a PH.D. in Communication Arts and Sciences from the University of Southern California. Let’s find out what Dr. Jim Johnson has been up to lately. 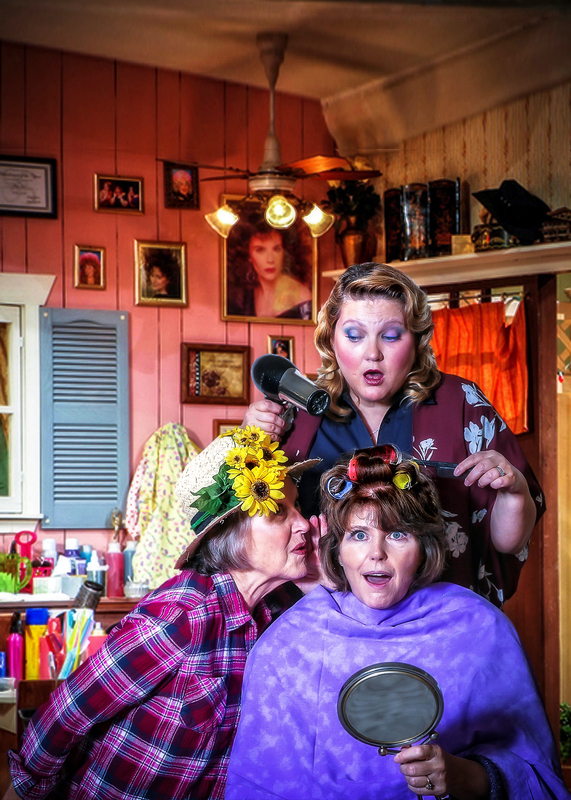 ModestoView: When was your first experience with theatre? 2. It must have been a huge undertaking to rebuild the drama program at MJC; what was your biggest obstacle? In the late 1970’s a decision was reached to cancel all theatre productions at MJC. The decision was based on interpersonal staff communication problems. I was invited to head up a committee to look at the situation and to propose alternatives to the current program. The biggest challenge was starting from scratch–hiring new staff, creating new courses, defining the roles of personnel and creating a realistic budget. Thankfully, we got things right and the program has successfully been in business for over 30 years. MV: You were involved in the operations of the performing arts, but you wanted to get back into teaching. Why was that? JJ: After nine years in MJC administration, first as Dean of the Arts, Humanities & Communications division and Interim Vice President of Instruction, I decided that I wanted to spend the last two years of my 40 year career at MJC back in the classroom and directing. This is where I started, where my heart was and where I wanted to end my career. It was one of the best decisions I ever made. MV: Tell us about your first partnership with the Gallo Center for the Arts. JJ: After a year of retirement, I received a call from Lynn Dickerson asking if I would be interested in talking to her staff about taking an Arts Education Coordinator position on a volunteer basis. The position would put me in contact with city and county school teachers, administrators and students. I would coordinate the Pathways to Creativity program which brings thousands of area students to performances at the Gallo Center. I enthusiastically accepted the position and coordinated the program for five years. MV: How do you describe the opportunity to create the Gallo Center Repertory Company? JJ: During my tenure as Arts Education Coordinator, I reached out to area theatre groups such as Prospect Theater, MJC Theatre, Cal, State, Stan Theatre and Merced Theatre to look for ways in which we could combine forces and present theatre productions at the Gallo Center. During this time, I also helped Sankofa Theatre mount their first African-American theatre production, “The Piano Lesson,” at the Center. After several seasons of producing collaborations, I recommended to Lynn Dickerson that I felt that we were ready to go on our own occasionally and produce our own shows. Our first solo effort was “A Christmas Memory, The Musical.” It was presented in honor of Bette Belle Smith. MV: What was the first Gallo Rep performance? JJ: The first official Gallo Rep production was “The Diary of Anne Frank.” I produced the show and it was directed by Heike Hambley. It sold out, too. MV: The Gallo Center has now taken on the YES Company. What opportunities do you see there? 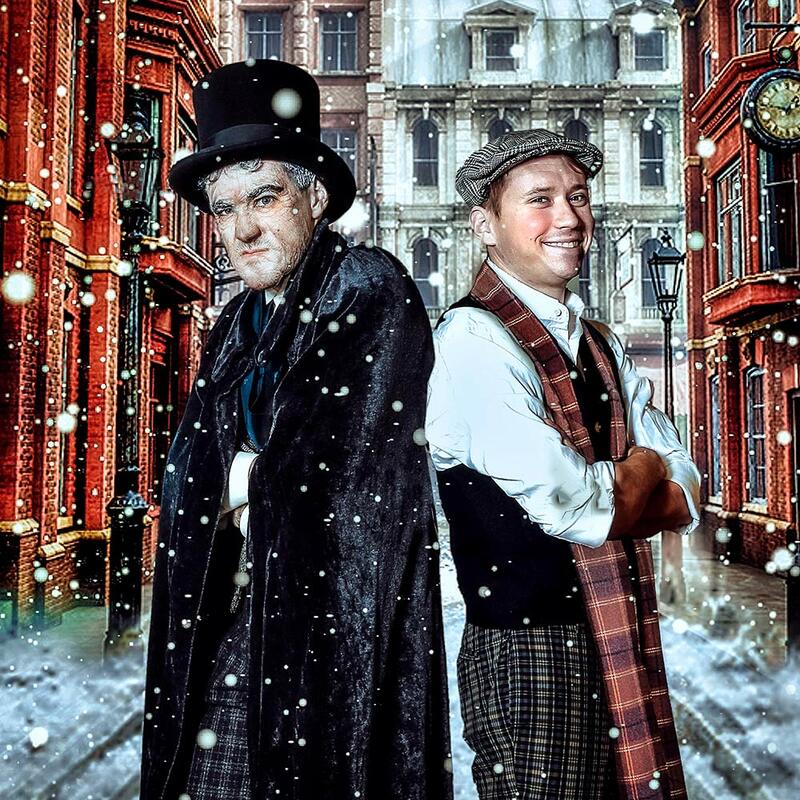 MV: This season’s holiday performance is “Tiny Tim’s Christmas Carol.” This is not your average Dickens presentation. What makes this so interesting? 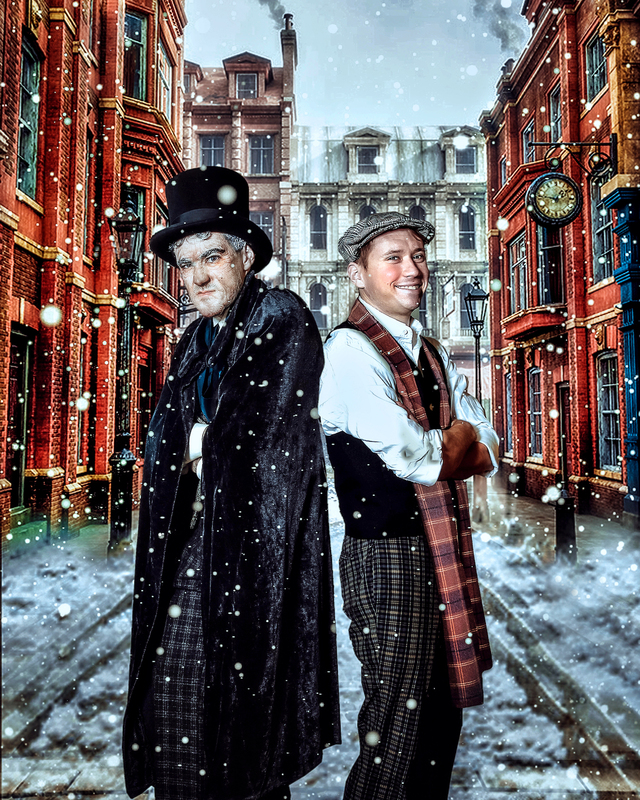 JJ: It is a wonderful reimagining of the Dickens classic. It is written by the prominent American playwright, Ken Ludwig. Ludwig is also the author of our Christmas offering last season, “’Twas the Night Before Christmas.” Kimberly Ogden is directing. In this version, Tiny Tim and his friends conspire to get Scrooge to let Tim’s father to have Christmas day off from work. They come up with tricks and magic to show Scrooge what the meaning of Christmas really is. The play is full of humor and surprises. The show will appeal to children and adults of all ages. MV: Tell us something that people may not know about the Gallo Rep.
MV: Is it difficult to take a new twist on these classic characters and stories? MV: What can we look forward to in the upcoming season? MV: And the most important question: Beatles or Stones?